One of Africa’s longest-surviving rebel groups, the LRA has terrorised parts of central Africa for 30 years. Key dates in the history of Uganda’s brutal Lord’s Resistance Army (LRA), which the United States and Uganda have decided to stop hunting down, saying the rebels have been neutralised. One of Africa’s longest-surviving rebel groups, the LRA has terrorised parts of central Africa for 30 years, becoming notorious for mutilations, massacres, kidnappings, and the forced enrolment of children. – January 1987: a year after the takeover of Uganda by rebel leader Yoweri Museveni, voodoo priestess Alice Auma Lakwena takes up arms to topple the new regime. Her Holy Spirit Movement is defeated at the end of 1987. 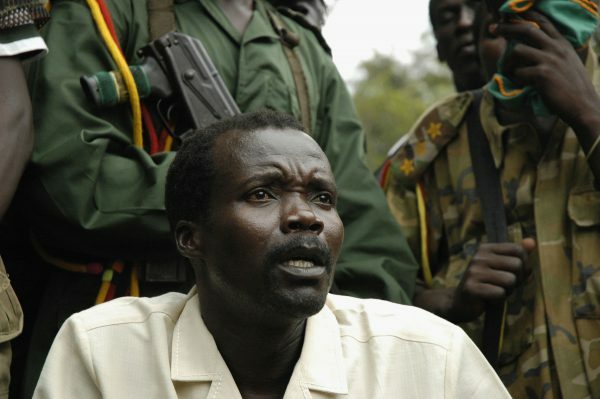 – 1988: Joseph Kony, presented as Lakwena’s cousin, takes over the fight at the head of what becomes the LRA. – March 1994: The LRA steps up ambushes and abductions in the north bordering the south of Sudan. – January 1997: nearly 400 people are killed by the LRA during a four-day raid in the region of Kitgum. – April 2001: The United Nations Human Rights Commission condemns the LRA for kidnappings, torture, detentions, rapes and the forced enrolment of children. – April 27, 2002: Uganda and Sudan restore diplomatic relations – broken off in 1995 – after an accord giving the Ugandan army the right to pursue LRA guerrillas into Sudanese territory. – February 21, 2004: More than 200 people are massacred in an attack by suspected LRA fighters on a camp for displaced persons in the north. – October 14, 2005: The International Criminal Court says it has issued arrest warrants against five LRA officials, including Kony. In 2006 the LRA’s number three, Raska Lukwiya, hunted by the ICC, is killed by the Ugandan army. – December 19, 2011: A unit of US special forces arrives in the east of the Central African Republic to help fight the LRA there. – March 2012: US charity Invisible Children releases a video via the Internet, raising worldwide awareness of the LRA problem in Uganda. – September 19, 2012: The African Union says it has taken control of a regional force hunting Kony across the central African jungles. – April 3, 2013: the United States puts a 5 million bounty on Kony’s head. – May 20, 2013: The UN says that the LRA has killed more than 100,000 people over the past 25 years, also blaming it for the abduction of between 60,000 and 100,000 children and the displacement of 2.5 million people. – November 13, 2014: A UN report points to a string of LRA attacks across central Africa since the start of the year, with a “steady increase” in abductions. – January 26, 2015: former LRA commander Dominic Ongwen makes his first appearance before the ICC, accused of war crimes and crimes against humanity, after surrendering to US troops earlier in the month. – January 21, 2016: Ongwen was the “tip of the spear” of the LRA, prosecutors tell the ICC, unveiling 70 war crimes charges against him. – December 6, 2016: Ongwen goes on trial, pleading not guilty. The ICC’s prosecutor tells the court he was “ferocious”. – March 25, 2017: The US military says it is wrapping up operations against the LRA in central Africa, saying it has “been reduced to irrelevance”. – April 19, 2017: The Ugandan army says it has neutralised the LRA, as troops began withdrawing from the Central African Republic where they have been hunting Kony.